Serenity Vista announces the acceptance of bitcoin as a payment option for alcohol & drug rehab. Bitcoin offers advantages of privacy, security, fast transactions, convenience and low transaction fees. This initiative is consistent with Serenity Vista's commitment to continually strive to providing the optimal recovery experience for their guests. Boquete, Panama, Nov 17, 2018 -- Serenity Vista is excited to announce the acceptance of bitcoin as payment for alcohol & drug rehab treatment. Serenity Vista leads the addiction treatment sector in offering bitcoin payment for alcohol or drug rehab. This initiative is consistent with Serenity Vista's commitment to respecting each guest's right to privacy and confidentiality. Paying with bitcoin gives the client a payment option that keeps their transaction private from employers and health, financial and legal systems. While still going through growing pains, bitcoin continues to evolve to a stable form of currency. Some major companies have adopted bitcoin as a payment option. Bitcoin is particularly ideal for the health care sector due to the privacy protections. 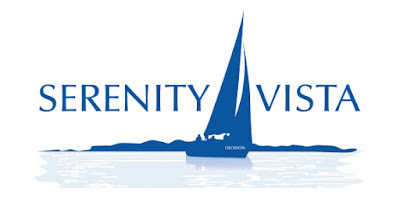 "Serenity Vista feels strongly that people should be able to ensure their privacy of all aspects of their life, especially personal health related issues," says John Derry, Director of Serenity Vista. "Addiction treatment is no exception." Being the leader in the adoption of bitcoin as a means of payment is a reflection of Serenity Vista's values. "We are committed to staying current with the best ways of providing the optimal healing experience for our guests," says John Derry. "As this technology evolves and continues to mature, other cryptocurrency payment options will likely be included." "This is an indication of the thought and effort we put into providing payment options for our guests," says Derry. "Just image the effort, dedication and thoughtfulness behind the program experience once the guest enters the doors of Serenity Vista."